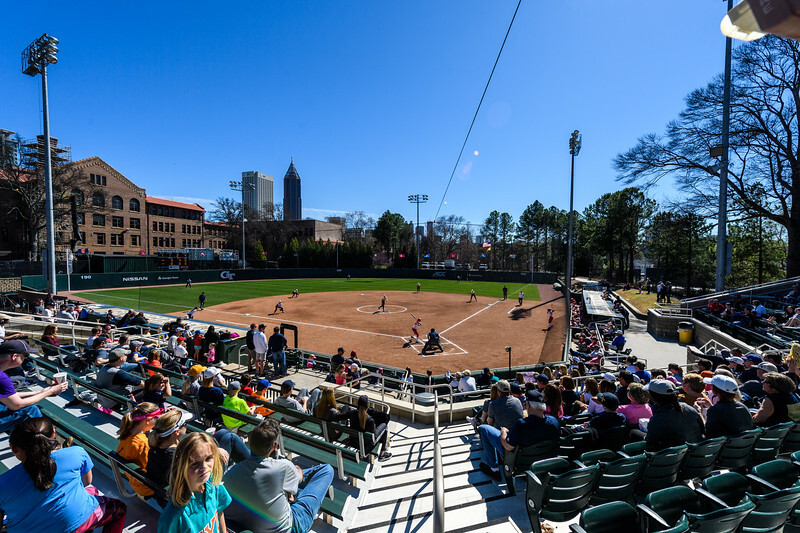 Shirley Clements Mewborn Field is one of the premier softball facilities in the nation. 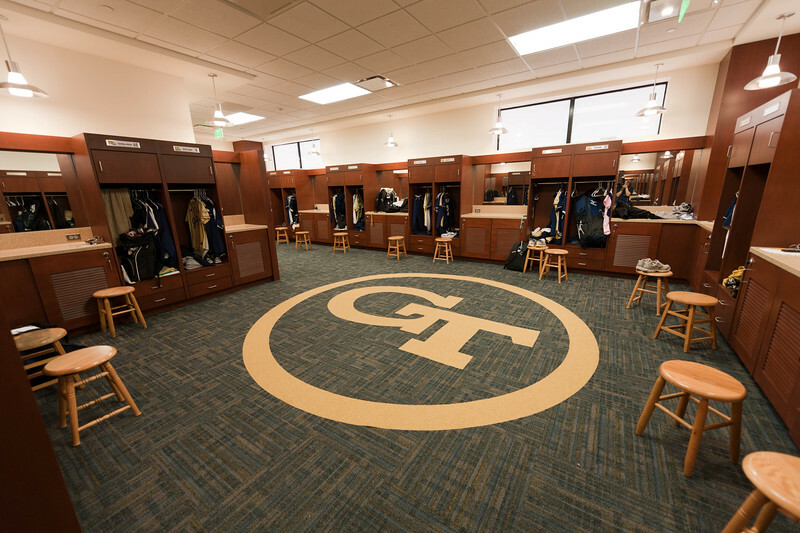 The $4.9 million on-campus home of the Yellow Jackets was officially dedicated on March 10, 2009. It is named after Shirley Clements Mewborn, one of the first two women to receive a degree from Georgia Tech. In its first two years at Mewborn Field, Georgia Tech hosted an NCAA Regional and was featured on ESPN. In 2009, Mewborn Field and the Jackets played host to the Atlanta Super Regional against eventual nation champion Washington, which was televised on ESPN and in 2010 the entire Atlanta Regional was broadcast in HD on ESPN and ESPN2. A capacity of 1,500, including nearly 600 chair backs. Whether it's in the main grandstand or in a standing room area, each spot at Mewborn Field gives you a feeling like you are on top of the action, as well as a spectacular view of the Atlanta skyline, especially at night. Press box with separate TV and radio broadcast booths. Raised grassy hills on each baseline giving fans a unique perspective. Bullpen for each team with ample space for two pitchers to warm-up. Indoor facility down the left field line with four batting cages. The surface is turfed. Completed in time for the 2011 season is the team building. Located just behind the indoor facility, this building features a locker room, coaches' locker room and offices, umpire room, meeting rooms, video room and a training room. New outfield padding and new paint for the dugouts were added in the summer of 2015.